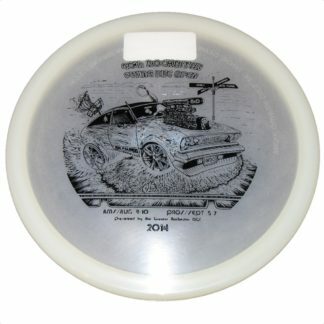 Collectable, custom stamped, Junior EMac Truth Glow was only available at the 2017 Glass Blown Open. 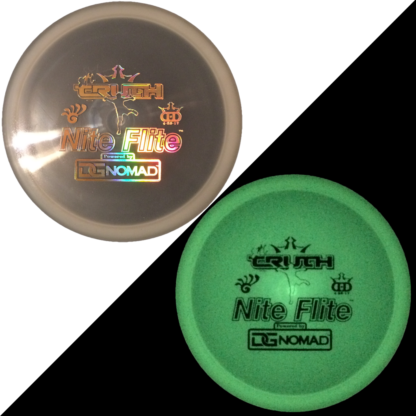 This “Junior” glow in the dark disc is fun to throw! 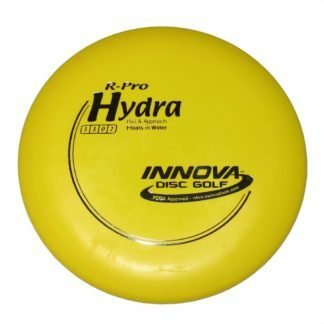 The smaller, 6-inch (15 cm) “Junior” discs are excellent flying discs. 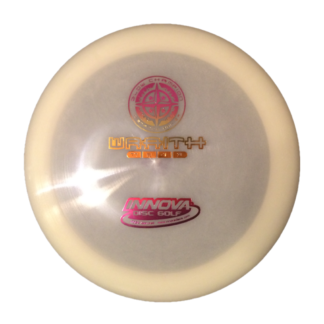 Also, the reduced size disc makes it a good choice to introduce younger children to disc golf who may struggle throwing standard size disc golf discs. 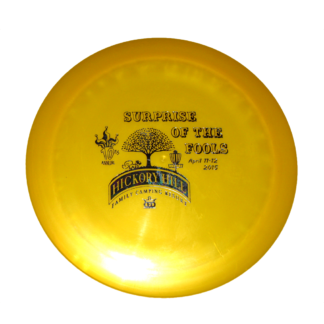 This collectable, custom stamped Lucid Junior EMac Truth Glow was only available at the 2017 Glass Blown Open.